So last weekend, I decided to try it…. 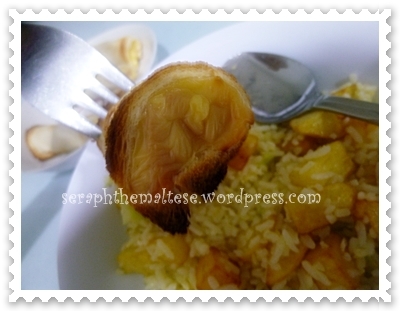 Since learning how to cook, I have tried a few recipes on my own…. The funny thing is, those cookbooks sitting at home were actually mom’s, but she has never touched them before…. Turns out, I tried 1 or 2 recipes & my first guinea pigs were my wonderful family…. They were not afraid of getting diarrhoea the next day…. lol! 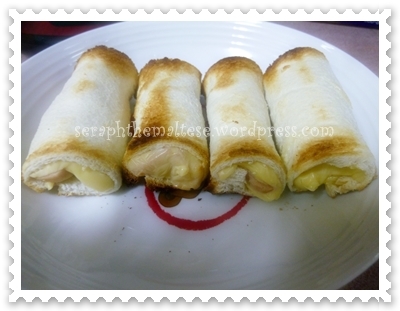 This bread roll is rather simple to make…. Like really simple…. 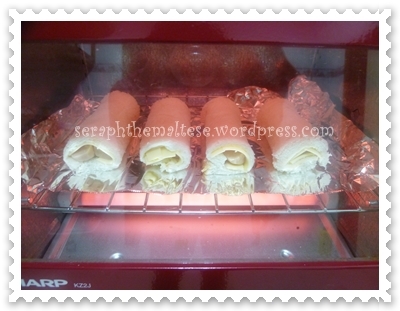 All you need is an oven (or microwave oven, or else how you wanna bake it?) 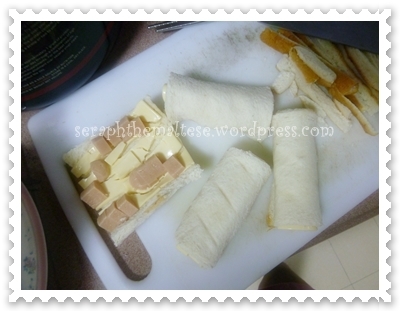 bread, cheese, and whatever fillings you want…. This time, I added sausage…. So I cut out the bread skin, place the cheese on the bread and fill with sausage…. 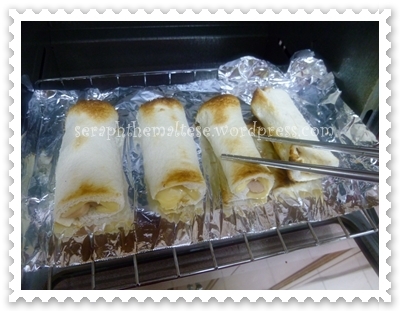 Be careful not to over-fill or else you cannot roll it up later…. 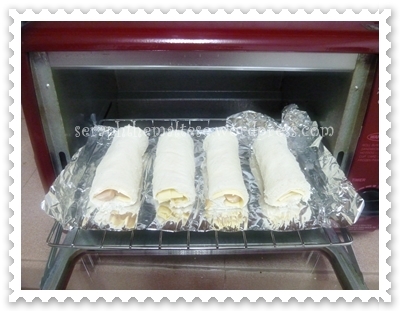 This is how they look like all rolled up & lined in the oven getting ready to be baked…. If your oven is like mine, you’d probably have to turn them around when you see the top turning brown…. After 4 minutes, turning them around…. See the brownish parts? After flipping them over, bake for another 4 minutes…. 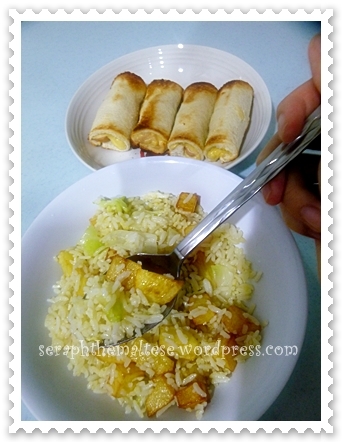 Along with homecooked fried rice…. Dinner for the day…. Close up of the melted cheese! About the taste, it has this salty taste which is given out by the cheese…. And the bread tastes like you’re biting a crispy pizza crust…. yummy! thanks! 🙂 it’s very simple to do…. you can try it too….